Khartoum, Mar. 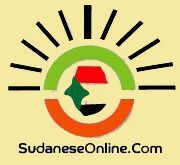 28 (SUNA) - Sudan and Egypt have affirmed the importance of consolidating the relations between them for the interest of the two sister nations. This came when the Assistant of the President of the Republic, Musa Mohamed Ahmed, received in his office at the Republican Palace Monday the Egyptian Assistant Foreign Minister for the Neighbouring Countries Affairs, Ambassador Usama Al-Magzoub. In a press statement, Ambassador Al-Magzoub said that the meeting was a positive one and discussed means of strengthening the cooperation between Sudan and Egypt, besides the cooperation with East Sudan in the agricultural and health fields. He said that the meeting also reviewed the cooperation in the field of roads and their impacts on the inter-border trade and the cooperation between Sudan, Egypt and Ethiopia.